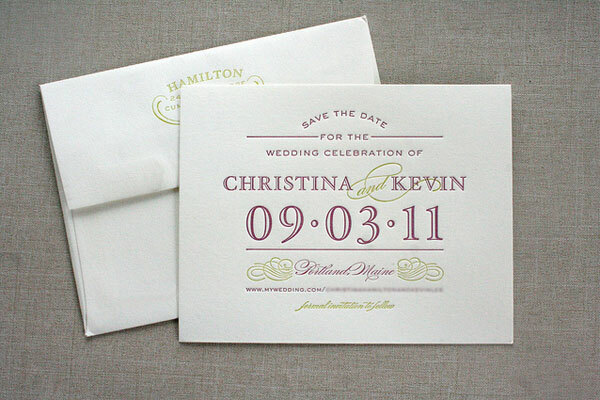 I’m totally crushing on these beautiful letterpress save the dates by Parrott Design Studio. 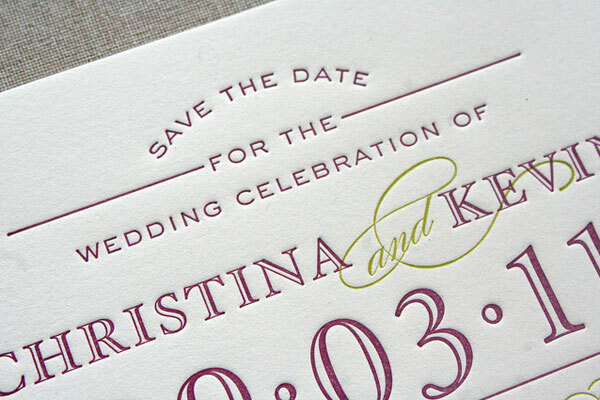 Sarah Parrott designed the luxe and lovely save the dates for Christina and Kevin, a dear friend and her husband-to-be, and the combination of classic typography, sophisticated flourishes, and a chic aubergine and chartreuse color palette is absolutely divine! 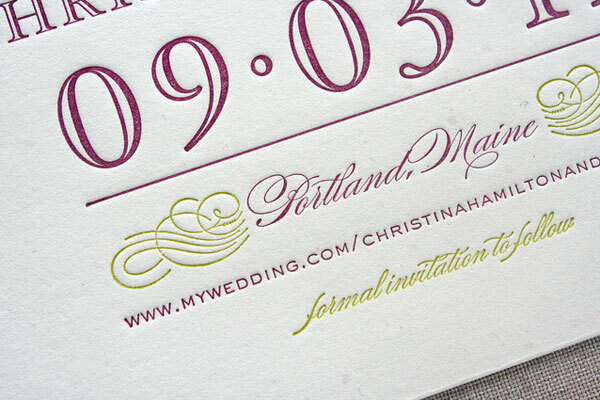 The two-color save the dates were letterpress printed on 100% cotton paper in natural white and feature coordinating envelopes, which included a return address. Gorgeous!